Oh yes; We just had a new penguin photo shoot! We start this batch with a follow up to a previous Weekly Penguin from years ago – and it's a Kickstarter related one as well. Meet Sydney the penguin of Poketti Series 2! Poketti plushies started out as a Kickstarter project by sisters Sydney and Toni Loew from California. 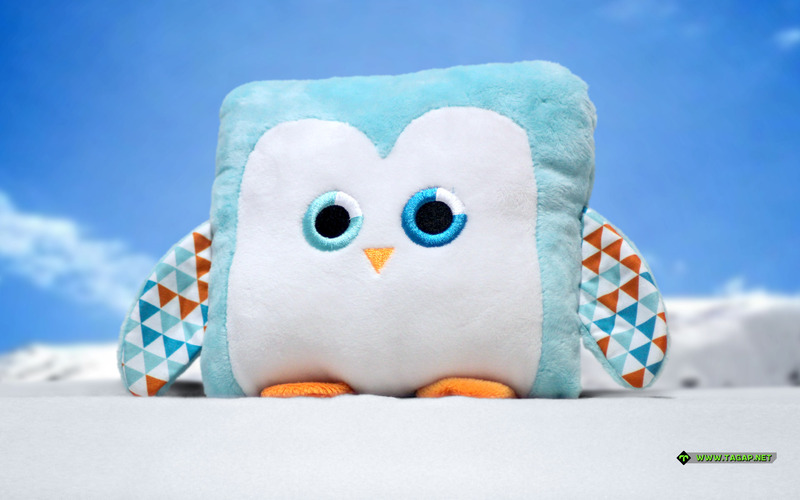 These are adorable, almost minimalistic pillow-like plush toys with a pocket perfect for a notebook, a smartphone or whatever you need to carry with you. Now, in 2017, the Poketti plushies returned with a Series 2, featuring both old familiars and new animals. This time around, each character has their assigned 'pocket power', which for Sydney is 'confidence'. Thus he is described as a natural born leader who comes complete with "Be Confident" stickers in the pocket. The new Sydney is smaller than the original; Whereas the Series 1 Sydney is perfect for holding my TAGAP mini-notebook on the home couch, the new Series 2 one is great if I need to pack those notes with me on the go.